From start to finish. One point of responsibility. A&A is your turn-key solutions provider. Rigging heavy machinery and equipment is difficult enough without having to manage multiple specialties. Hiring one company to handle the equipment utilities, a second company to move and erect the machinery and equipment, and a third to provide the leveling, aligning, and anchoring can be time consuming and a hassle. Coordinating riggers, millwrights, electricians, and haulers can bring project schedule delays and miscommunication. Your project needs a trusted one-stop partner for seamless heavy lifting and heavy hauling. We’ll take care of your project beyond the rigging and machinery moving. Our team of experienced project managers, estimators, and craft professionals will provide the solutions your project needs in a timely and effective matter. From start to finish, we’ll handle all aspects of your project. Evaluate all obstacles of the project to determine the easiest, most effective solution to complete your project on-time. Provide full logistics planning, handling all route surveys, clearances, and permits. Handle warehousing of large, long-lead items, staging and transportation to job site. Export crating and packaging services on-site or at our facility. Rig and erect machinery and equipment on site. 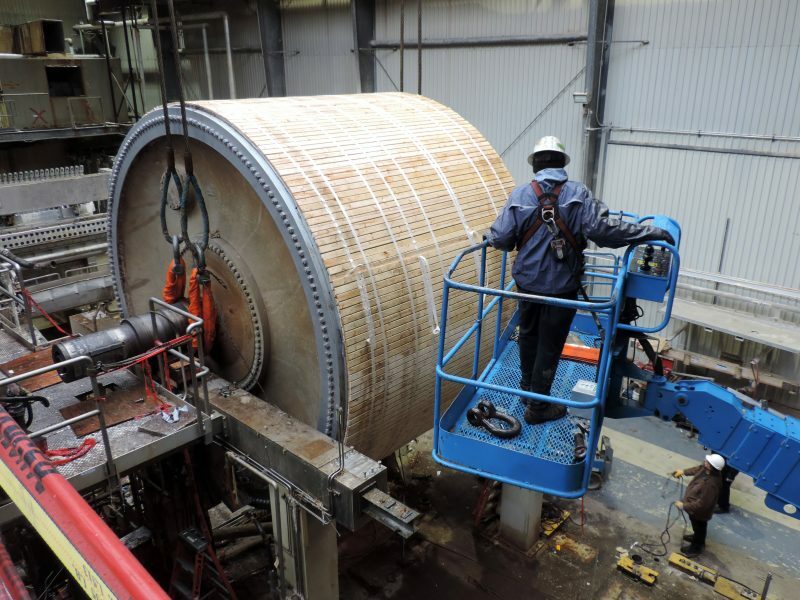 Supply millwrights for disconnects and reconnects, leveling and aligning, and anchoring. 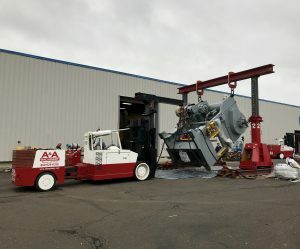 A&A Machinery Sales will help you convert idled, obsolete, end-of-life, scrap or surplus machinery, manufacturing and process equipment into revenue. We’ll maximize your return and minimize your costs and liabilities. Involving heavy lifting and heavy hauling specialists early in the project planning will assist in finding the most effective solution for the tasks and difficulties at hand. Relocation or closing a plant can be an overwhelming task to manage. When you need single-point responsibility for your project, talk to us about our turn-key solutions. We’ll take care of your project far beyond the rigging and machinery moving. A&A Machinery is your turn-key project specialists.